This app is truly a blessing! I downloaded this app because I have trouble finding time to read my bible while on the go, but still want time with the lord. I love the 2 minute meditations with the prayers! Perfect for when I need a pick me up, or some words of encouragement on the fly! I was pleasantly surprised by the variety of topics. I plan to purchase the subscription, though I do wish it was month to month. I’m not sure an annual fee of $40 is convenient enough. Other than that, I completely adore this app. It has truly help me grow in my faith, and learn how to become more intimate with God. Praying for the creators and team of this app. You are all doing an amazing job! God bless you all! Love love this app. Just a few min each morning in peace sitting with the Lord and working on my faith sets me for the day. Also has helped reduce my anxiety and tension when needed. Wonderful! I love Abide’s sleep meditations! When I’m anxious it calms me my thoughts and directs my mind to a better place. One of peace! 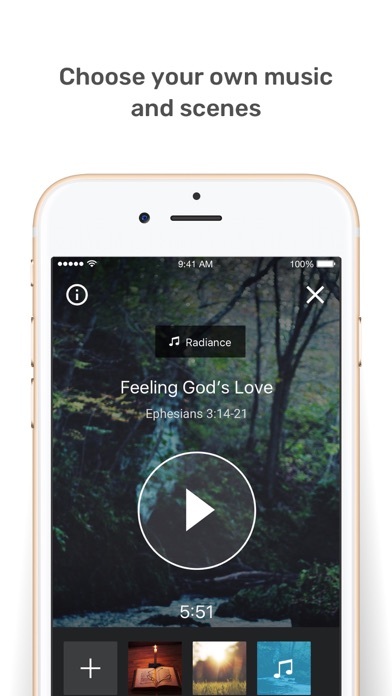 The Abide app got me through a surgery and other family issues. I was extremely disappointed when I realized that I had to pay for longer meditations. And eventually the app stopped working altogether. I guess it was good for only a trial period, which wasn’t clear in the beginning. The $40 fee is too much for most. 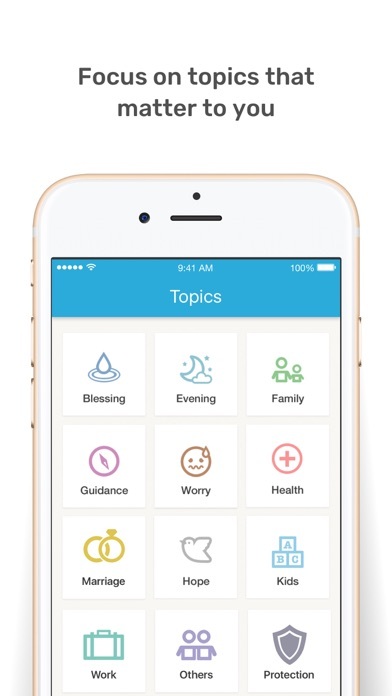 I was going to suggest this app to a new friend who suffers from anxiety & wants to learn more about becoming a Jesus follower. But I can’t, knowing that the fee would likely be a deterrent. I see this app as a ministry which should be offered to those in need of it. 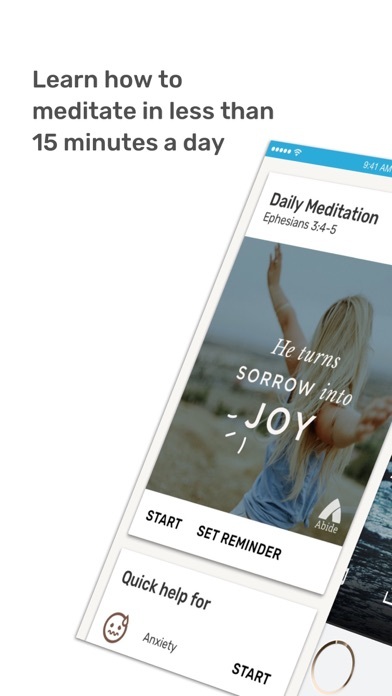 As in so many other apps, I’m sure advertisers would be happy to sponsor Abide. Please consider offering the entire service/ministry without cost to subscribers. Free subscriptions would garnish a five star rating! Please be upfront with potential users . The description of the app does mention a free trial but then it doesn’t go into the pricing . We can only find out when downloading the app. I downloaded it but then removed it. So, I just get the free short ones via email, which are very nice. I agree with Liz Tracy in that it would be awesome if it was donation - based . There’s another ministry that offers meditations - 15 minute long mediations as a matter of fact- that is free but they accept donations. I wonder if that was ever considered . 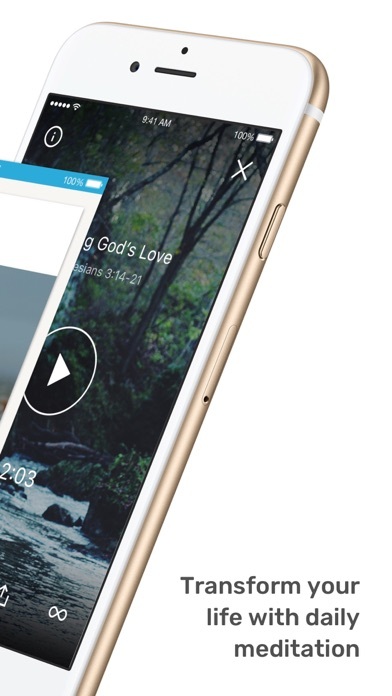 Wonderful app & true scriptural inspiration daily! Thank you! I truly enjoy and am blessed by the messages on this app, however, I total concur with Liz Tracy’s (March response)! 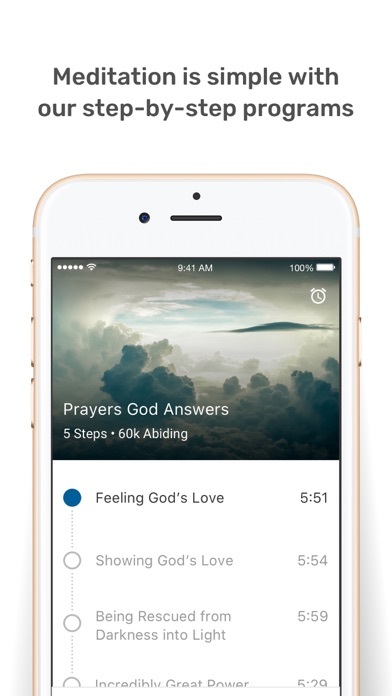 Liz Tracy, Thank You for sharing your sincere testimony 🥰 I am in FULL AGREEMENT for this app to be fully accessible to ALL free of charge. I’d be one to give into this ministry as well as countless others.